Friends and expedition companions for over 10 years, Sean Disney and Vaughan de la Harpe have spent many a night sharing a tent at high-altitude and in challenging conditions. Sean has spent much of his life on mountains and is an accomplished mountain guide. He has climbed Everest from both sides and is a two-times 7 Summits mountaineer. He’s also a paragliding pilot, private pilot, open-water diver and keen cyclist. Vaughan is the first South African, along with Sean, to have completed the Explorers Grand Slam – that’s the 7 Summits and both Poles. 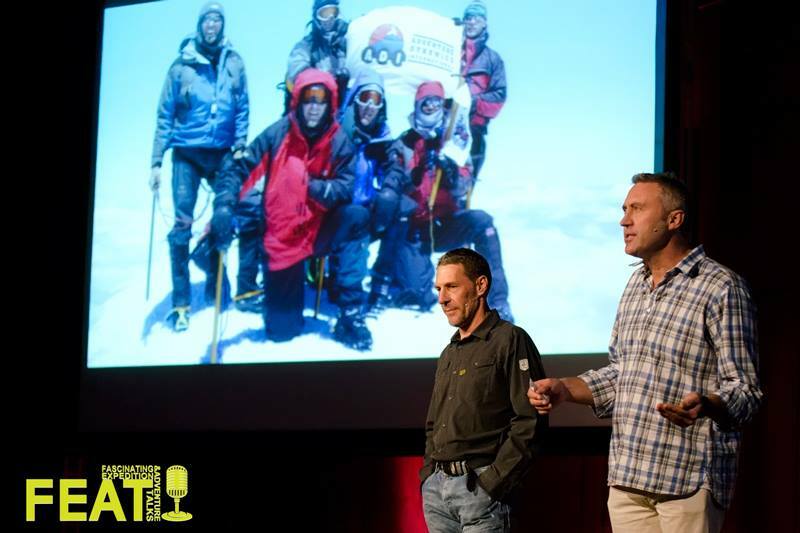 Sean and Vaughan speak about the people they’ve met on mountains.